I'm all about any day that celebrates pizza! Although I'm in Illinois, I'm not located near Chicago. Deep dish pizza isn't hugely popular where I live but it's definitely a winner in Chicago. Back in 2014, I went on vacay with a friend to Chicago who took me to Giordano's. It's famous for its deep dish pizza, and I can see why. After you're done indulging in pizza, lace up your shoes and take a leisurely stroll somewhere. It's also National Walking Day! There's several health benefits to walking, and you can take in scenic sights and sounds. My favorite place to walk, by far, is Bob Mays Park. It has a lovely two-mile trail that people can bike, skate, run and walk. The place is so pretty and serene. What's your favorite kind of pizza? 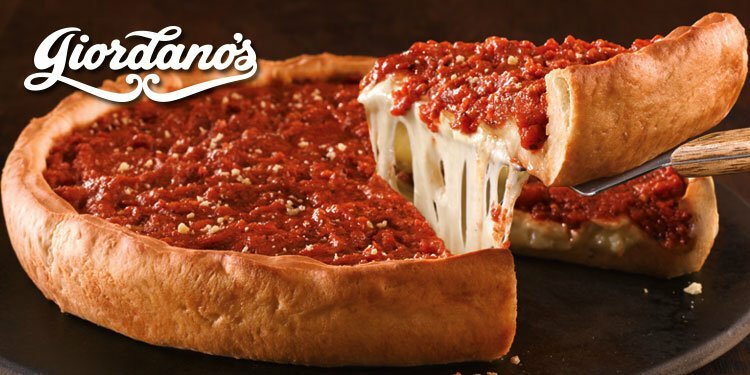 Will you be indulging in Deep Dish today? Is walking something that you make a priority? I like deep dish pizza because of the larger, thicker crust, but I do not like it when the rest of it gets soggy by wet chunks of tomatoes. I love pizza, especially thick crust. But I have to admit, that deep dish pizza looks fabulous! A couple slices of that & I'd be stuffed. My brothers would even be stuffed after 2 slices, and they can eat almost a whole thin crust pizza apiece. I love pizza! I also love deep pizza crust.I like pizza crust plain too. Lol! Now I want pizza.